ELEVATION 5,050 feet - HOW MUCH VIEW DO YOU WANT ? - Well appointed and furnished. 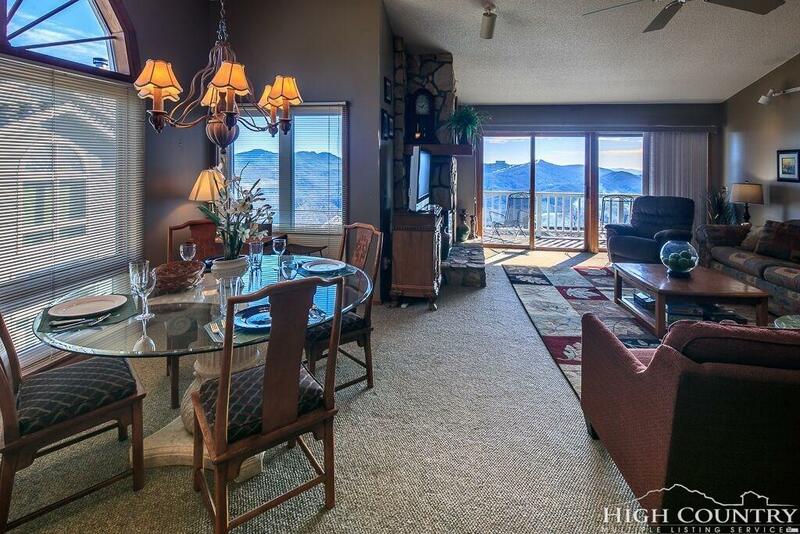 Dramatic long range VIEWS from the Great room, Dining area and Master bedroom. ALL on one Level living with easy six step entry. Two large bedrooms, two full baths. Whirlpool in the master bath. 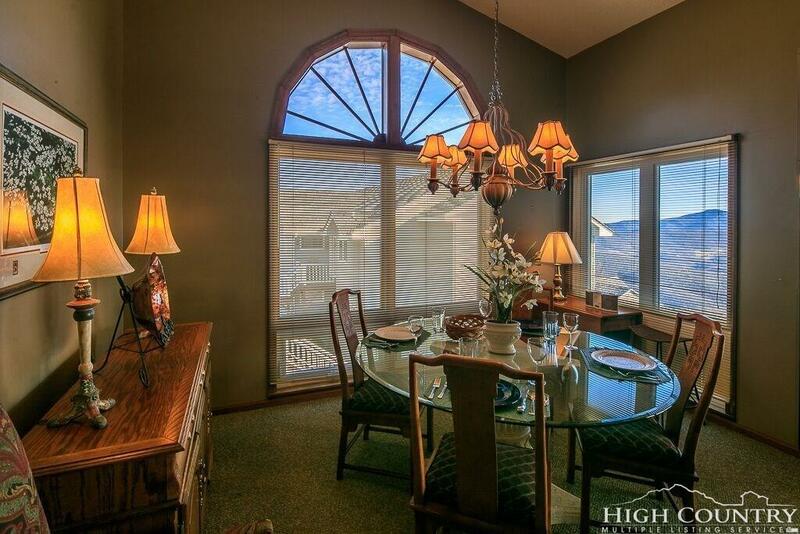 Raised full size laundry, spacious kitchen, dining & great room. COVERED deck with access from Great Room & Master Bedroom. 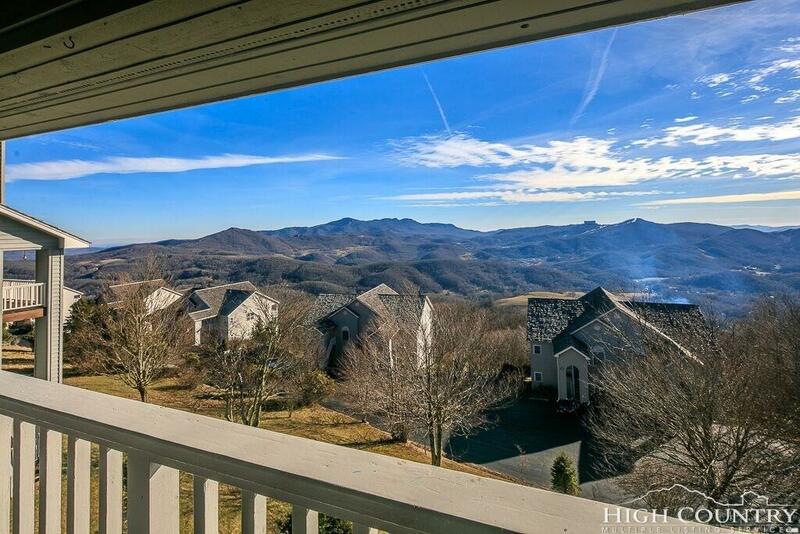 Deck VIEWS of Banner Elk, Hanging Rock Mtn, Sugar Mtn, Grandfather Mtn, Mount Mitchell and many others. Located on the crest of Beech Mountain's eastern ridge. 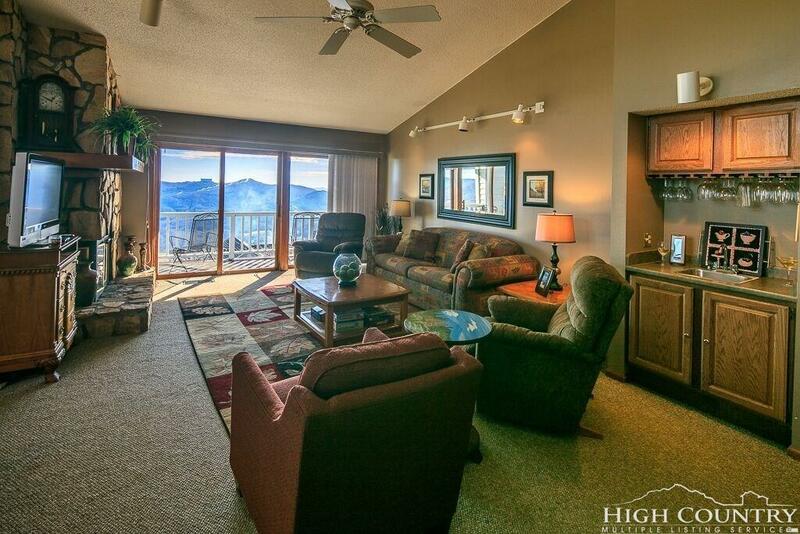 - one of the HIGHEST condominiums in Eastern America - cool summers and snowy winters. Beech Mtn Club membership can be obtained thru purchase of an inexpensive lot in town. Stick built - not a modular. LOW county taxes. Well equipped and appointed. Paved ample parking. Distinctive Buildings with cedar shake shingle roofs. CONDO Fees include sewer ( septic) and community well, snow removal & garbage in addition to exterior yard and building maintenance. No longer in rental - Easy to show ! Listing provided courtesy of Jim Brooks of Beechwood Realty, Inc..